We at Virginia Fair studios can create just about any finish on any wall to tie in with the clients needs and ideas… Over 20 years experience in the field-faux painting, design plaster, aging, antiquing, sponging, including furniture, molding, cabinets, etc. When we say design plaster , we are talking about specialty plasters that are used as decorative finishes, as opposed to wall plaster that is used over dry wall that is then painted or wall papered, etc. One example of design plaster is called Venetian plaster. This is a mixture composed of marble and other aggregates such as limestone, etc. The main being marble dust. What this does is give the plaster a wonderful glow and richness, and authenticity-and once smoothed onto a wall and buffed, creates a rich surface that brings forth the character of the marble. It feels and looks like marble, and is actually cool to the touch. The plaster can easily be tinted any color as well. There are several grades of this design plaster, ranging from very fine, to the more course mixture that can be used to create an old world raised texture. These lime based marble plasters are combined with natural oxides and pigments to give a wide range of colors. Over this can be applied glazes and/or washes to enhance the effect, adding to the look and feel of the wall(s). 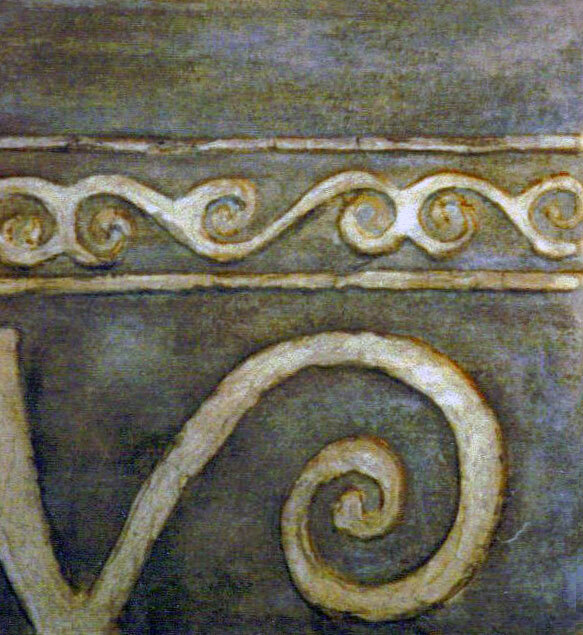 Although some Venetian Plasters are polished or “burnished” with a sheen-techniques have been developed to give a variety of effects ranging from a suede, marble, or stone “feel” and look. It is through the artisan’s imagination and the refinement of technique that can give a room the look and feel of Old World, Contemporary, Tuscan, Traditional , etc.